The first quarter was an eventful one for U.S. equity markets. The quarter — and the year — started off well. A rally that had started in November 2016 U.S. continued through the end of January. The S&P 500 was at an all-time high — and the tech-heavy Nasdaq Composite was performing even better. Then, sentiment changed quickly and violently. The last two months of the quarter saw a return of long-dormant volatility — and big swings in U.S. stocks. Even in retrospect, it’s unclear exactly what caused the change. Higher Treasury yields, fears of a trade war and an overheated market all have been blamed. Whatever the cause, the S&P 500 actually remains down so far this year, and volatility still sits near its highest levels seen during the post-crisis recovery. All told, it’s been a surprising quarter for the market as a whole. Particularly so for these eight stocks. Big — and unforeseen — moves on earnings beats (or misses), M&A or failed ventures have sent share prices moving and investors scrambling. And in all eight cases, there may be more volatility to come. Of stocks with a market capitalization over $250 million, in Q1 only one outperformed BlueLinx Holdings Inc. (NYSE:BXC). That was Innovate Biopharmaceuticals Inc (NASDAQ:INNT), an early-stage drug developer and part of a recent reverse merger. Heading into the year, BXC looked moderately attractive. 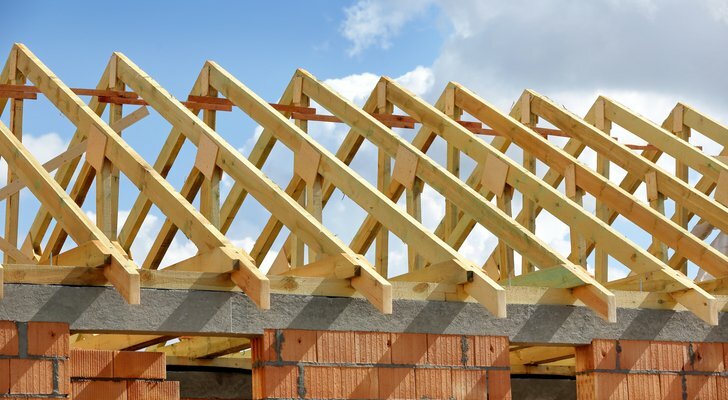 The building products distributor had a huge debt load and narrow margins. But it also owned a substantial amount of real estate, which seemed to limit downside even if the business were to be liquidated. It was a ‘deep value’ play — one I recommended on this site back in May. The case looks very different now. In March, BlueLinx acquired fellow distributor Cedar Creek for $413 million, with $345 million of that price due in cash. The transaction scales up BlueLinx’s business. And the projected cost savings of $50 million are huge compared to the current market cap of $285 million, let alone Bluelinx’s sub-$100 million market cap at the beginning of the year. Investors loved the deal, sending BXC stock up 77.5% in a single day; the stock would add another 30%+ before pulling back of late. And the optimism does make some sense. BlueLinx should be larger, more profitable, and less leveraged if the deal works as planned. There’s still risk here. Margins remain in the 5% range, which doesn’t leave much room for error or pricing pressure. BlueLinx still has a leverage ratio around 4x, even pro forma for the expected cost synergies. M&A always looks better, and easier, on paper than in practice. Still, the Cedar Creek acquisition clearly was transformative for BlueLinx — and made big winners out of BXC shareholders in Q1. The two biggest names in the U.S. diet industry, Weight Watchers International, Inc. (NYSE:WTW) and Nutrisystem Inc. (NASDAQ:NTRI), went in opposite directions in Q1. For Weight Watchers, another strong quarter, along with above-expected 2018 guidance, sent shares higher. Investors knew business was good — the stock is up more than 800% in the last three years — but perhaps not this good. The company also announced it was entering the meal kit business, further boosting optimism and sending Blue Apron Holdings Inc (NYSE:APRN) stock further on its long decline. There’s perhaps some reason for caution when it comes to WTW. Oprah Winfrey, whose stake in the company helped the stock put in a bottom in 2015, has sold some of her holdings, netting a cool $110 million in the process. An 18x forward multiple still looks reasonable, but WTW has historically struggled with consistency and worries about competition from online rivals and free apps still persist. Nutrisystem, meanwhile, had its worst quarter in years. NTRI itself had posted an incredible rally, climbing from below $8 in early 2013 to $68 last year. But the company admitted in its Q4 report that it had a poor start to 2018, leading to disappointing guidance and a plunge in the NTRI share price. I argued after the report that NTRI earnings weren’t as bad as the market suggested, and with the stock down another 15% since then it looks awfully attractive. The market doesn’t like negative surprises, and for that reason sold off NTRI stock. But if the issues are fixable — and management believes they are — Nutrisystem stock has plenty of room to rebound. For shopping mall REIT GGP Inc (NYSE:GGP), the Q1 surprise wasn’t necessarily that the stock declined. 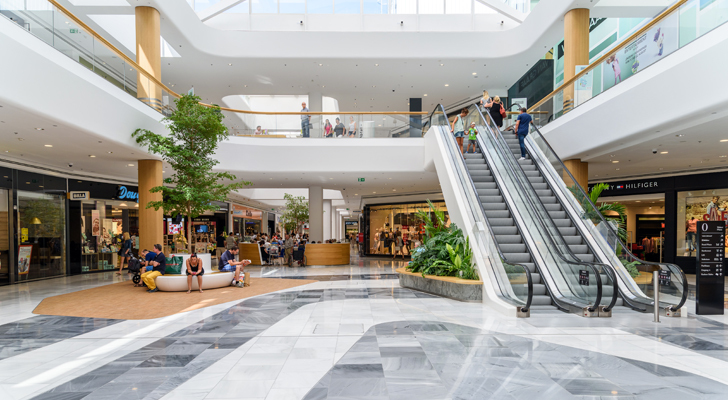 Even so-called ‘Class A’ mall owners like GGP, Simon Property Group Inc (NYSE:SPG) and Macerich Co (NYSE:MAC) have been under pressure for some time. Fears of more brick-and-mortar retail bankruptcies and the continuing shift of retail sales to e-commerce channels have dogged all three stocks intensely for the last two years. And it wasn’t necessarily a surprise that GGP agreed to sell itself to Brookfield Property Partners LP (NASDAQ:BPY). Brookfield already owns ~30% of the company. And it had made its initial offer of $23 a share for GGP public back in November. But the surprise is that GGP wound up accepting a revised offer for just $23.50. And with that deal paid only partially in cash, with the remainder due in shares of a new REIT, something truly unusual happened. GGP agreed to a buyout — and its shares dropped over 5%. Given that GGP had consistently and loudly argued that its shares were undervalued in the low 20s, the agreement is something close to shocking. And it undermines the argument made by GGP, and its rivals, that the public markets were overestimating the threat of e-commerce to Class A malls. In the process, GGP hasn’t only sent its own stock down — it’s brought down SPG and MAC as well. Whether the deal will go through remains to be seen. Many shareholders don’t like the price at all. A majority of non-Brookfield shareholders have to approve the deal. With the market valuing the consideration around $22, it may be GGP that gets the surprise when that vote occurs, likely in the second quarter. 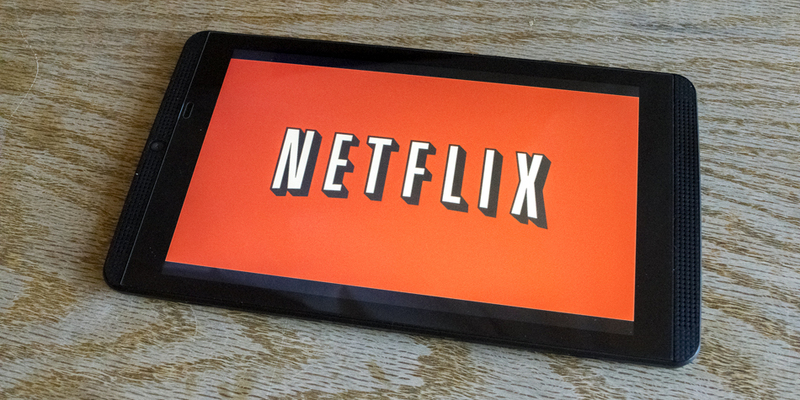 Bulls might argue that the Q1 gains from Netflix, Inc. (NASDAQ:NFLX) weren’t much of a surprise. After all, Netflix continues to expand its dominance in content. Meanwhile, NFLX stock had rallied almost without interruption for nearly five years coming into 2018. But even the most ardent bull had to be at least a little surprised by the intensity of the gains in NFLX. At all-time highs in early March, NFLX stock already had gained over 60% in the quarter — on top of a 60% rise in 2017. Even with a recent pullback, Netflix stock remains the fourth-best performer this year out of the 698 stocks with a market capitalization over $10 billion. The gains were certainly a surprise to me. After the company’s original film Bright appeared to flop, I argued in January that NFLX already was too expensive. I still believe that to be the case, even after a blowout Q4 report in January. But NFLX has surprised me — and many bears — over the past few years. I wouldn’t be stunned if it did so again with the Q1 report a couple of weeks from now. On the other side of the coin from Netflix is Overstock.com Inc (NASDAQ:OSTK). Here, too, it’s perhaps not terribly surprising that OSTK dipped. This is a high-risk, high-reward play that soared almost 500% in a matter of months on its way to near $90 in early January. But what’s surprising, and disappointing, is Overstock’s performance in the quarter. An ugly Q4 report was driven in part by a collapse in the company’s SEO (search engine optimization) success — one of the core drivers of the legacy business’s online sales. As our James Brumley pointed out in Q4, CEO Patrick Byrne responded with a rather significant strategic change that confused investors. Meanwhile, optimism toward the company’s tZERO blockchain initiative has stalled out. The company disclosed an SEC probe in early March. And that unit’s ICO is moving much slower than Byrne expected. A stock offering was announced, then reportedly canceled — but only after sinking OSTK further. Cryptocurrency optimism in general has weakened so far this year. And the company has made no progress in its efforts to supposedly displace Goldman Sachs Group Inc (NYSE:GS) and other Wall Street firms in securities lending. 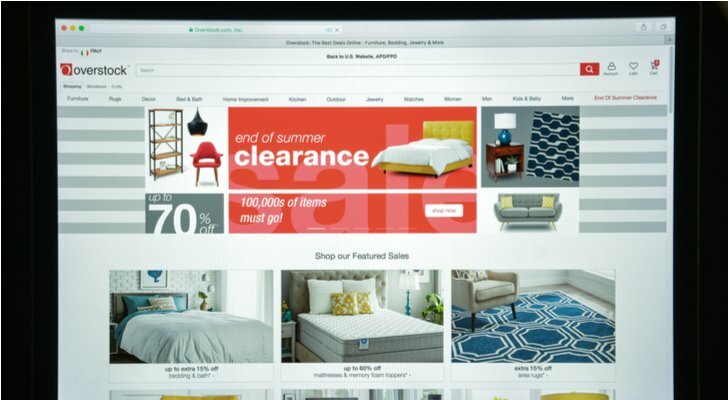 All told, Q1 truly was awful for Overstock.com. Bulls had better hope better news — and better surprises — are on the horizon. One of 2016’s hottest IPOs, cloud communications provider Twilio Inc (NYSE:TWLO), looked like dead money heading into 2018. TWLO stock ended 2017 not far from an all-time low. Shorts were pouncing, with well over 20% of the float sold short. Analysts were losing interest. Intense competition and the loss of key customer Uber had set Twilio up for decelerating growth and a declining share price. But Twilio wound up soaring in Q1, thanks largely to a huge Q4 earnings beat. TWLO gained 16% the next day, and kept rising; the stock gained almost 80% between early February and late March, before pulling back in the last few sessions. I thought TWLO had potential heading into the year — though admittedly I was a bit early in my bullishness toward the stock. I certainly didn’t see a 51% gain coming — and no doubt, neither did the many traders shorting Twilio stock. From here, the road probably gets a bit bumpier, however. Customer concentration remains a risk, as does competition. Twilio still seems like a potential buyout target, but it will have to execute against what should be higher expectations in Q1. As good as Q1 looks, there’s definitely a case to take money off the table — and have some protection if Twilio’s next surprise isn’t quite as positive. Most Surprising Q1 Stocks: Guess? In a sector where turnarounds are hard to come by, Guess?, Inc. (NYSE:GES) looks to be on the right track. CEO Victor Herrero, upon taking over in 2015, set out to improve the company’s positioning overseas, notably in Asia. 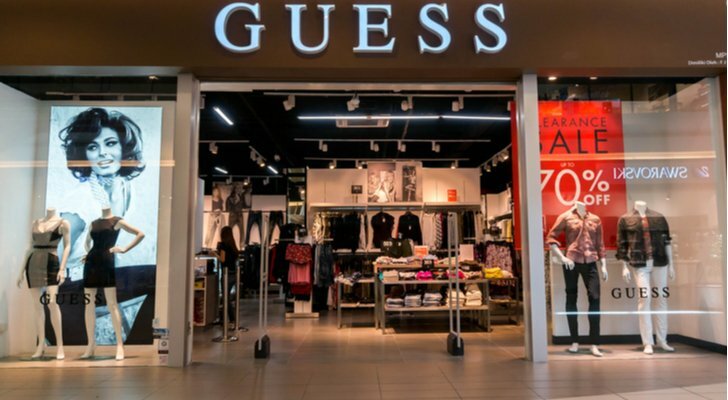 As recently as May, GES stock still was down rather substantially under his leadership, as the market seemed to believe that apparel retail headwinds would offset any operational or strategic improvements. But GES has rallied since May, with the run capped off by a 28% gain after Q4 earnings. That report was impressive in a way retail reports simply aren’t these days. At a time when any sales growth seems like a plus, revenue increased 17.5%, with about 7 points of help from currency. Adjusted operating earnings rose 31%, with margins expanding 90 bps to 8.9%. More importantly, the strategy seems to be working. Americas revenue fell — no surprise in a weak apparel environment. But profit rose, thanks to cost reductions and a decision to stop chasing lower-margin sales. Meanwhile, revenue overseas soared; even excluding currency help, sales in Asia climbed 33% and sales in Europe jumped 24%. There’s potential upside left. GES stock still yields over 4.3%, and trades at about 17x the midpoint of next year’s EPS guidance, backing out over $4 per share in net cash. A weaker dollar could help going forward, as could further cost reductions in the U.S. business. Q4 FY18 earnings were a huge surprise — but they also set the table for a very strong fiscal 2019. As of this writing, Vince Martin is long shares of Nutrisystem and has no positions in any of the other securities mentioned. Article printed from InvestorPlace Media, https://investorplace.com/2018/04/8-q1-stocks-surprised-investors/.